Auf ihrem 7. Album sind sie sehr ruhig und nachdenklich geworden (zumindest auf der Hälfte des Albums). Besonders diese Songs gehen sofort ins Ohr. Man nimmt Molko diese Ehrlichkeit ab. das warten hat endlich ein ende. und es hat sich gelohnt! ich höre auf diesem album ja viel nachdenklichkeit, aber diese klingt nicht im geringsten ruhig, sondern aggressiv und spricht mir direkt aus dem herzen. einzig den letzten song "bosco" würde ich als ballade einstufen, der ist aber genauso wie der rest des album genial. Ganz überraschend für mich gefällt mir das neue Placebo-Album sehr gut. Bis dato hasste ich die Stimme von Brian Molko regelrecht. Und jetzt mag ich sie sehr. So ging es mir mit Grönemeyer und Heroes del silencio früher auch. ...solides Album von Placebo ! It is quite peculiar how Ive ignored Placebo so much over the years. They seem to be a fairly big band in terms of alternative rock as a whole, and I generally with most bands with such a stature at least form some sort of solid opinion about them. And to be honest, Ive never really thought much of Placebo. They have a few decent songs, but this is negligible in terms of actually knowing enough about them to be able to accurately judge what I think of them, let alone how I compare them to their counterparts. So the status basically is that I have next to no prior experience listening to them, let alone full albums. Basically I can only remember The Bitter End with any clarity. And so the question remains: how to approach this album? They seem to have critically peaked as a band, which means that listening to a new album of theirs as my first is quite problematic. While I want to keep up with the times by trying out new music, I dont want this to create a bad (or indeed, just inaccurate) image of them which makes me feel even more ignorant than when I started. The epitome of what I mean is listening to No Line on the Horizon as the first ever U2 album one has heard and concluding that theyre more of a singles artist. It just doesnt add up. Perhaps I can refrain from any overall judgement of Placebo as a whole, which removes a layer of my analysis. At the end of the day, an album is simply a collection of songs and not everything has to be connected chronologically. 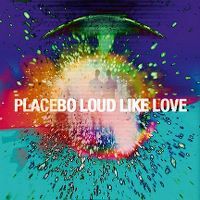 My lack of care about Placebo certainly came to the fore this year when I only realised they had an album out when I noticed a new single of theirs existed. Exploring into it, I was somewhat shocked to discover the somewhat mixed reaction the album had received from critics. While Muse, Queens of the Stone Age and Arctic Monkeys had all been able to receive widespread acclaim for their recent efforts, why couldnt Placebo? Even Placebo fans seem to be a bit hesitant. The album seems to be divided into two halves from what I gather. The first half of it seems to be quite bold and confronting while containing some aspects of the few Placebo songs I seem to know. The lyrics are often odd but the sound feels more accessible. The second half is quite different again. It sounds more experimental and atypical, but somehow more sensible. Prinzipiell eigentlich kein schlechtes Album. Für Placebo-Verhältnisse recht ruhig. Im Prinzip ohne große Schwächen - es fehlen aber leider auch die Höhepunkte. Solide vier Punkte für ein solides Album ohne grosses Highlight.